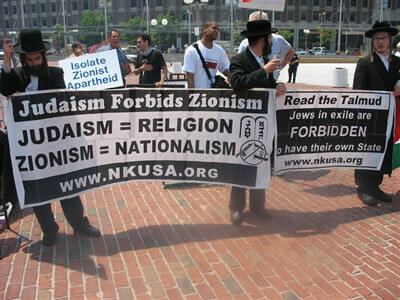 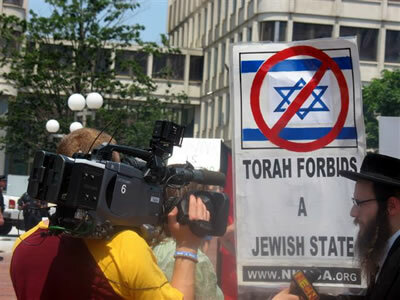 On Sunday, June 18, 2006, Anti-Zionist Orthodox Jews joined a protest organized by the New England Committee to Defend Palestine at Boston City Hall Plaza to protest during the 58th annual "Boston Celebrates Israel" rally. 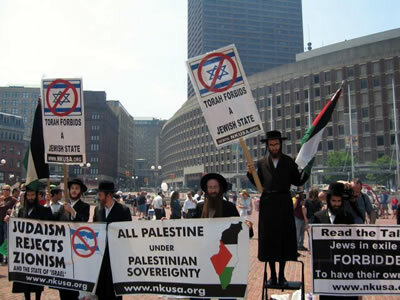 Supporters of Neturei Karta travelled from New York to Boston to carry the message that God exiled the Jews and they are forbidden by His law from establishing a state and to condemn the oppression against the Palestinian people supposedly in the name of the "Jewish people". 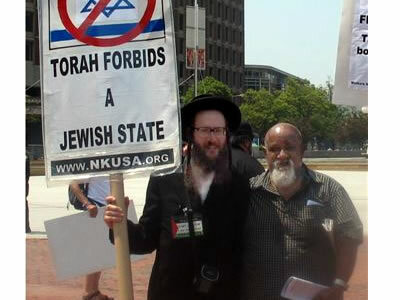 City Councilor Chuck Turner was also there advocating human rights for Palestinians.